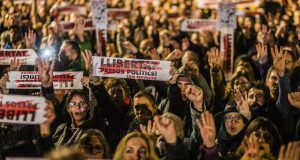 After days of a police and judicial offensive, without quarter, in which democratic rights have been trampled on with fury, the Spanish Partido Popular (People’s Party/PP) government decided to use massive repression to prevent the people of Catalonia from exercising their right to decide their future. In an operation reminiscent of the days of the Franco dictatorship, members of the Civil Guard arrested 14 officials of the Catalan government responsible for the organization of the referendum on 1 October (‘1-O’). When news of these authoritarian actions became known, thousands of young people and workers took to the streets of Barcelona and other cities to oppose this repression and to defend the freedom and the rights of the Catalan people. The seizure of literature; raiding of printing premises by the Civil Guard; the imposition of a massive news blackout; arrests of youth for pasting posters, threats of criminal action against hundreds of mayors who backed the referendum, indiscriminate seizure of records in the headquarters of government buildings; and attempts to raid the headquarters of the CUP [Popular Unity Candidacy], the prohibition of political acts supporting the right to decide in Madrid, Gasteiz and Gijón, the intervention in the finances of the Catalan government by the central government, and the deployment of thousands of police officers in Catalonia to intimidate the population, all amount to the imposition of a what is in fact a state of emergency. This is the recipe that the PP, the apparatus of the State, Cuidadanos [Party of the Citizenry] and, unfortunately the leadership of PSOE [Partido Socialista Obrero Español – a social democratic party] served up with the intention of preventing the people of Catalonia exercising their right to vote on the relationship that they want to have with the Spanish State, including its legitimate right to independence. This attack on democratic rights and freedoms is unprecedented in the recent period in Spain. The police offensive has been prepared in advance by the government. So much so, that Prime Minister Rajoy met in the early hours of Wednesday 20 September with Pedro Sánchez in La Moncloa and later with Albert Rivera, leaders of PSOE. These leaders of PSOE support this Francoist offensive against the people of Catalonia. What a scandal! The complicity of the current leaders of the PSOE with the PP to muzzle the Catalan people and prevent a vote on 1 October will go down in the history of social democracy as one of its most infamous betrayals. These are the consequences of embracing pro-Spanish nationalism for years and merging with the ruling class in all essential matters. 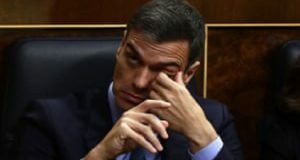 The PSOE leaders have not only abandoned the point of view of socialism on the national question – which has always defended the right to self-determination of oppressed nations (although they call rhetorically for “negotiation”) – they are placed on the side of Franco who denied that Catalonia is a nation. They are now willing to take up a new “crusade”, by resorting to violence and repression of the State, to prove it. The idea that the referendum of 1-O represents a “coup d’état” and is an “anti-democratic” imposition against a section of the Catalan population, is one of the biggest lies that the media, at the service of the Spanish bourgeoisie, is trying to sell. It is an absurdity in itself. If the state, the PP and the parties that are supporting them are so sure that the supporters of independence are a minority, why not accept the result of the ballot box? Why prevent the vote? In Venezuela they argued for this but in Catalonia they say no! In a democratic vote on self-determination, anyone who does not support independence has the clear choice not to vote for it. Parties such as PP, Cs or PSOE, who defend the legitimacy of the 1978 constitution, have a lot of resources and influence. They could make a strong campaign in favour of their arguments against independence. The real reason that explains the close-minded attitude of the right-wing and the State is not that they defend democracy, but quite the opposite. They deny that the people of Catalonia have a right to decide and make Catalonia a nation. The position of the government, the state and its supporters, is nothing more than the continuation of a continued line that historically the Spanish bourgeoisie and its centralist State have defended. It has meant crushing militarily, on a number of occasions, the democratic national aspirations of Catalonia, the Basque country and Galicia. That was what happened under Franco’s dictatorship. Any progress in winning these rights has always been the result of the massive mobilisation. In a press conference flanked by all his advisers, the president of the Catalan Generalitat, Carles Puigdemont, pointed out the reality of the situation: “The Spanish State has suspended de facto self-government for Catalonia and a de facto a State of emergency has been applied”. It is really incredible that a bourgeois nationalist party leader has to say these things. A situation has developed that sees the PP can trample on the most basic democratic rights! Now we see why Rajoy and his party have always refused to condemn the Franco dictatorship, and you can see what the Marxists have always argued is quite clearly shown: that the Spanish state apparatus is saturated with fascistic and reactionary, elements. The so-called ‘transition’ did not purge them but protected them and encouraged them. What we see in Catalonia is the practical suspension of the Statute of the Government and the annulment of its most important political functions. The PP and its partners, cheered on by the press and media of the pro-Spanish bourgeoisie, shake hands together and finally carry through the law in the name of the “queen of democracy”. A party that is flooded with cases of corruption, which has savagely cut public education and health, which has given more than 100,000 million euros to the bankers, which evicts us from our homes, condemns us to precarious jobs and low wages and supports dictatorships like the Moroccan or Saudi regimes, and encourages the foreign military interventions of imperialism, this same party wants us to give lessons in democracy! The only response must be a massive mobilization of the working class and youth: for 24 hour general strike now! This Francoist offensive has been answered in the streets bravely and determinedly by the Catalan population. This protest is set to grow day by day. But it is urgently needed to bring this struggle to the working class, in a united way to bring together the youth and sectors of the middle layers that are already radicalised and in struggle. It is also necessary to extend the struggle outside Catalonia. The attack on democratic freedoms represents a tremendous threat to the population of all of the territories, and especially for workers, young people and their fighting organizations throughout the Spanish state. Esquerra Revolucionària fully supports the mobilizations being developed in Catalonia and in the Spanish State, but if we want to defeat the authoritarian assault perpetrated by the central government we urgently need the whole of the left to be involved in that struggle. The social movements and unions of the working class class (CUP, ERC, Comu, Intersindical, UGT, CCOO, CGT Catalunya…). We are commitment to put our efforts to work and build the strongest possible united movement. This can only be achieved by calling immediately a great general strike of 24 hours that will paralyse the economic and social life of Catalonia. A general strike in Catalonia must be accompanied by an appeal for the mobilization of the working class and the youth of the rest of the Spanish State in support of the Catalan people and their democratic rights. It must also be a turning point for the left and a struggle to win the leadership of this process, and the defense of the right of self-determination with a programme against austerity and social cuts. A mobilisation of this character is the way to more effectively confront and defeat the PP and its nationalist policies, and win the right of Catalonia to govern itself. The main factor that has, so far, held back a social rebellion from the anger against the social and economic conditions which exist to defeat the State, the PP and its capitalist policies, is that the parliamentary formations to the left of the social democracy (CUP, can, Comu, Izquierda Unida in Catalonia), and trade unions, have abandoned a struggle to be in the leadership of this great movement of masses. They have failed to fight for a programme that unites the struggle for self-determination with economic and social demands that are being demanded by the majority of the working class, youth and the wider sectors. It has given the formal leadership of the struggle against the State and the Government of the PP to the PDeCAT [Catalan European Democratic Party], allowing these bourgeois politicians to appear as victims of the authoritarian politics of the Spanish right wing. This has created negative division amongst the working class. The leadership of the “process” by the capitalist PDeCAT has not strengthened the movement, as claimed by the leaders of CUP and ERC [Republican Left of Catalonia]. It has weakened it. Even from the point of view of the defence of national rights, the leaders of the PDeCAT looked for every excuse not to call the referendum. Finally, the pressure of the movement, and prospect of heavy election losses if they did not call a referendum, compelled them to do so. 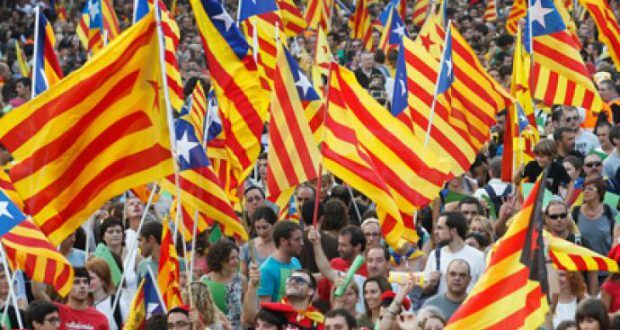 Despite the wishes of reaction and its crude manipulation of the facts, constantly spewed out in the media, the reality is that millions of young people and workers who did not vote in the 9 November referendum ‘consultation’ or did not attended the ‘national day’ events, DIADA, were not opposed to the people of Catalan having the right to decide their future. The vast majority of them have been mobilised against everything the PP represents: cuts, foreclosures, corruption. If they have not done the same in support of the referendum, so far, it is because leading the “process” are Puigdemont and Palau from the Catalan capitalists. 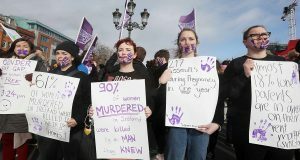 The same figures that have always been beside the PP against the workers, approving the labour ‘reforms’ , cuts in health and education, or privatization. But now all this may change. It is no doubt that the repression unleashed from the PP is a shock to millions of workers and young people from working-class neighborhoods of Catalonia. Images of the Guardia Civil arresting people, and Rajoy boasting arrogantly of repressive measures, are impacting on the consciousness of millions. They are a repeat of what older generations witnessed under Franco, both inside and outside of Catalonia. We must not forget that the democratic rights that we enjoy today, including the restoration of the Generalitat and the Statute, was the product of the mass mobilization of workers in Catalunya, many of them immigrants that populated with their families the towns of the ‘red belt’ of Barcelona and other cities. Right now the conditions are present for many more to join the millions who are already mobilised, ready to defend the referendum, together with the sectors that also want to fight against repression but are suspicious of PDeCAT. If the leaders of the left nationally and in Catalonia, together with the trade unions, call for a general strike and mobilize the working class, youth and the wider sections of society, both in Catalonia and beyond, for the right to decide, against the PP and the repression of the State, and clearly distancing themselves from the PDeCAT, it would be possible to defeat repression and to link this with a struggle against all cuts, austerity and privatisation; it would be possible to open the way for a left wing government and to establish a Socialist Republic of Catalonia. The CUP should be launching a struggle of this type immediately, breaking its parliamentary pact with the Catalan right-wing. The only way to ensure the right of self-determination is to unify the vast majority of the population in Catalonia, headed by the powerful Catalan working class, with a programme that linked inseparably, like two sides of the same coin, the struggle for self-determination and the struggle against capitalism. In the hands of the Catalan bourgeoisie, a true social and national liberation of Catalonia is impossible. Esquerra Revolucionària calls on all workers and young people in Catalonia to fight for 1-O and the right to decide their own future, against this authoritarian coup of the PP and the State. To fight for the right to decide and be able to vote, and for a Catalan Socialist Republic that ends cuts, which create millions of jobs, with workplace rights and decent wages, which puts an end to the house evictions, and to nationalize banks and corporations to put wealth at the service of the needs of the majority. A Catalan Socialist Republic would generate overwhelming sympathy among workers in the rest of the Spanish State (which have the same enemy – the bourgeoisie – and suffer the same attacks) and in all other countries of Europe, opening a path to transformation social and the liberation of all oppressed peoples.